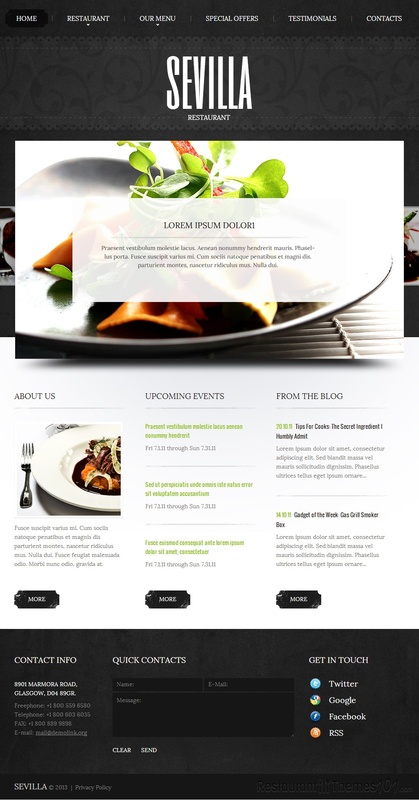 Sevilla is a WordPress restaurant theme created by Elza and featured at Template Monster. 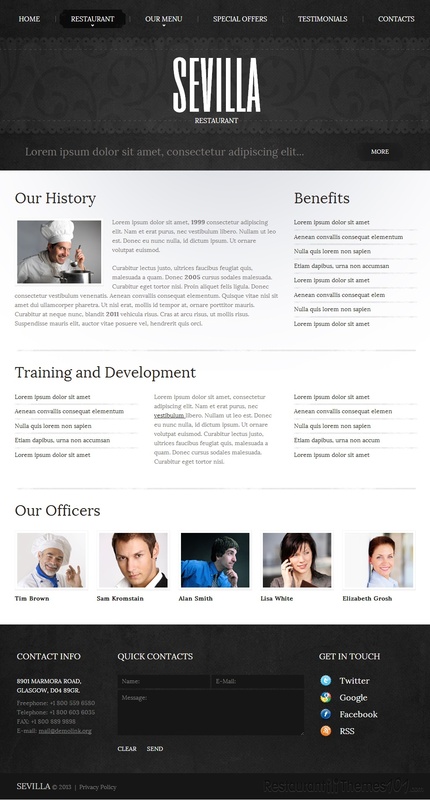 The theme has a unique design that is very much out of the box and it is specially created to make your website attractive and very functional. It has a nice set of options meant to enrich your website as much as possible. The homepage of the Sevilla theme features a very unique looking, creative slider where you can add photos of your delicacies along with short descriptions and by clicking one of them, your visitors will be taken to the page where you have explained all about the dish in details along with big, quality photos. If you want your website to have nice, ambient sounds, this theme is the right one for you. The homepage is enhanced with pretty, relaxing sounds that will make your visitors staying very pleasant. 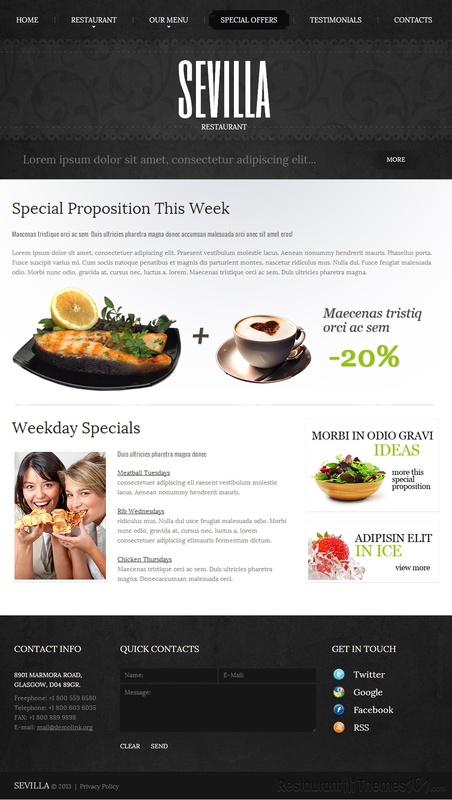 You can easily create your menu in 1,2 or 3 columns and it is also very easy to categorize it. 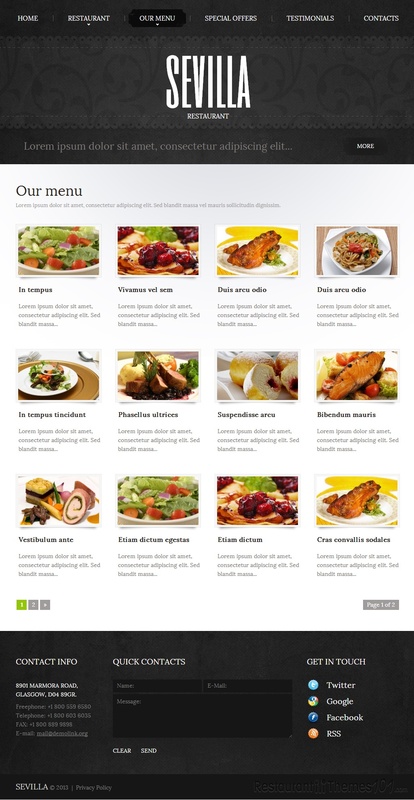 Creating the menu along with photos will be no trouble and the result will be great – a clean menu filled with useful content information about your food. There is also a section for your special offers, as well as for the testimonials of your satisfied customers, so they can be right out there for your visitors and potential customers to read. Social integration is very important, and this theme features integration with Twitter, Google, Facebook and RSS. You will have the possibility of creating and showing your upcoming events to your visitors along with details of the event and photos included. If your visitors have any questions they want to ask, there is a quick contacts form at the bottom of your homepage where they can easily send you a message with just few clicks. Sevilla features a great, functional admin panel, which is very easy to use. 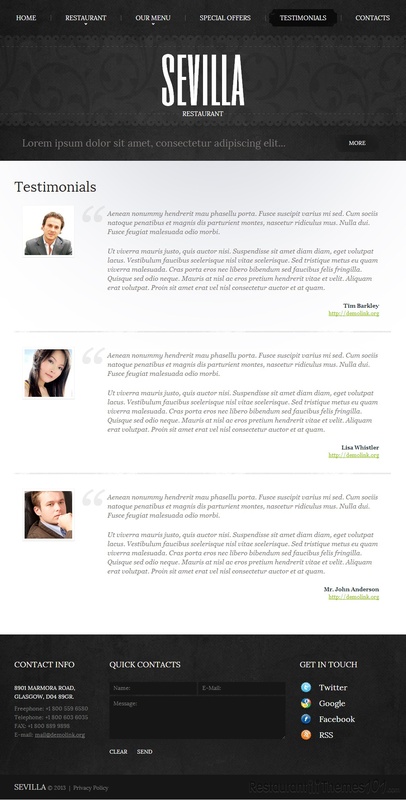 It is widgetized and it comes with 4 sources available: SWF, FLA, PSD and PHP.